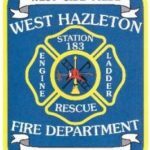 The West Hazleton Fire Department is a volunteer/paid organization of highly trained volunteers and paid operators who work 24/7 to provide fire protection and other emergency assistance to the residents of the Borough of West Hazleton. This is done through responses for structure fires, vehicle accidents, vehicle fires, and hazardous materials responses. Department personnel are trained in many different aspects of firefighting and the use of specialized tools and apparatus to meet the necessary objectives of many incident types. The department is extremely proud of its fire safety campaigns throughout the year that include a variety of events in our community to get the word out about fire safety. Our fire safety program takes us to area businesses, as well as day care facilities, and local schools. 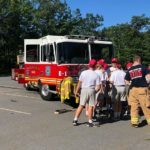 In an effort to pass on our rich heritage and knowledge of firefighting tactics, the department also has a Junior Firefighter program for youth age 14-17. Our training program offers many opportunities for all level of firefighters regardless of years of experience. 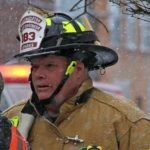 The fire service is ever evolving and as such, refresher courses and courses geared toward professional development of our membership are always being evaluated and delivered. 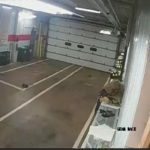 Assistant Chief – James J. Kaschak Jr.
President – James J. Kaschak Jr.